Are you ready for a pie that is great to eat for breakfast, lunch, dinner, brunch, late lunch…or would that be linner? Go with it. 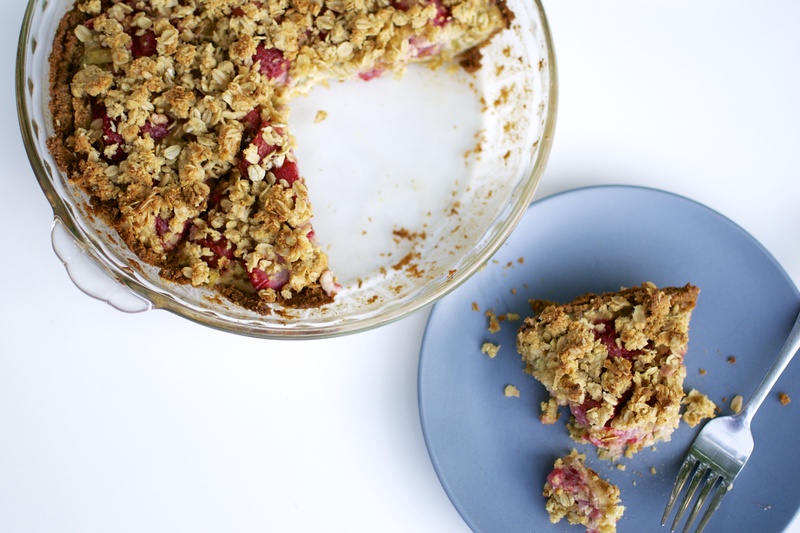 Let’s chow down on the best that the season has to offer: strawberries and rhubarb. My rhubarb plant is growing like a banshee in my yard. 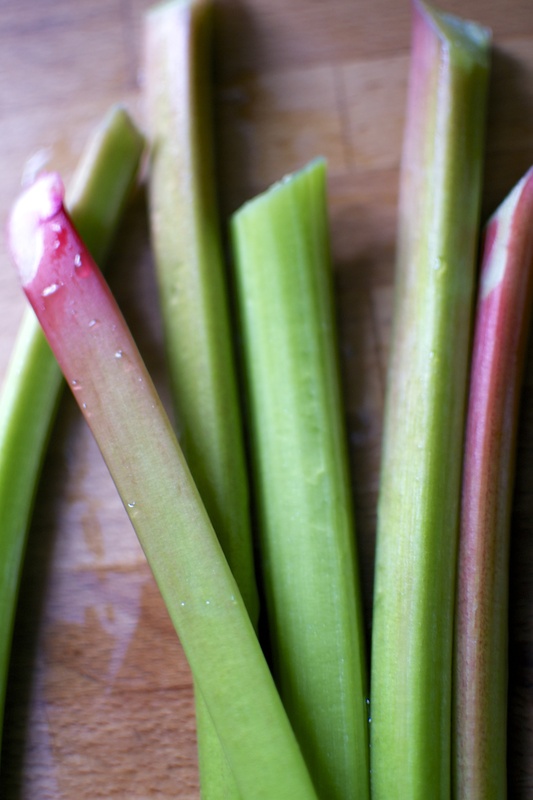 If you can plant a rhubarb plant, do it. They come back year after year after year, giving you stalks of tart goodness. My variety is green, which is quite a bit tarter (is that a word) than the red variety. But I dig it combined with strawberries, peaches, blackberries…whatever. Let’s make a PIE! A Breakfast PIE! Ya…you heard me! No judging here. The crust has lemon zest, almond flour, coconut palm sugar, an egg, and butter. Love the citrusy burst that the lemon provides. After mixing up the crust, we are going to reserve part of the crust for the crumble top. Super easy peasy. This pie has been the best thing about my mornings…and evenings…and lunches. Dallop with an extra scoop of greek yogurt if you want. Cheers to summer freshness. 1. The coconut palm sugar is processed in a food processor for 1 to 2 minutes to make a fine sugar powder. This helps with dispersing it throughout the crust and crumble. If you do not have coconut palm sugar, you could like swap out for another sweetener like honey or maple syrup, however I have not tried this and it will change the consistency of your crust given that honey is a liquid. 2. I used fresh fruit. If using frozen, be sure to thaw and drain it thoroughly or else you’ll have a soggy goop. TRUST ME. I did it. Tastes great, but looks less appetizing. 3. To make this completely grain free, replace the oats with your favorite chopped nut such as walnuts or pecans. Preheat oven to 350 F. Grease an 8″X8″ pan or 9″ pie plate with butter and set aside. In a food processor, process the palm sugar for 1 to 2 minutes until it becomes a fine powder. Add almond flour, salt, and lemon zest. Pulse to combine. Add diced butter to food processor and pulse until combined and appears to be sandy texture. Add egg to food processor and process until mixture forms a type of “dough” ball, the consistency of cookie dough. Reserve 1/4 cup of dough and set aside. Take remaining crust dough and spread along the bottom of the prepared pie pan or baking dish. Place in preheated oven and bake for 20 minutes, or until golden brown. 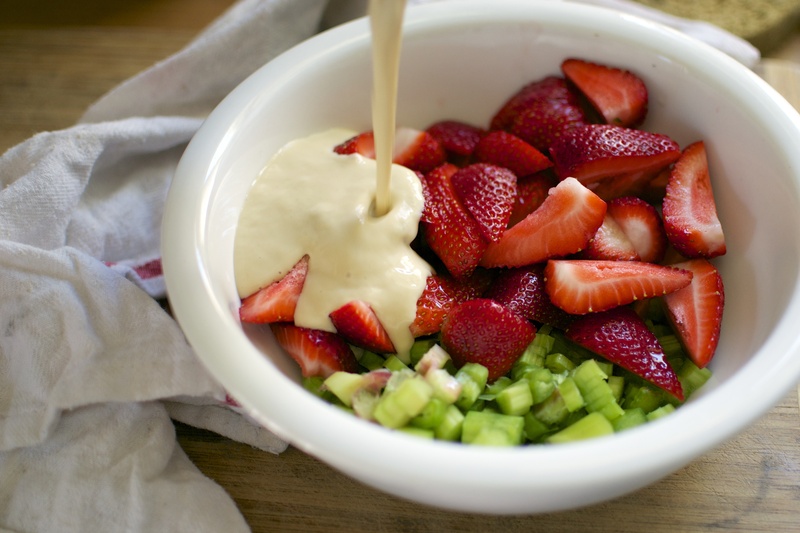 Meanwhile, combine all filling ingredients except rhubarb and strawberries in a medium bowl. Mix well. 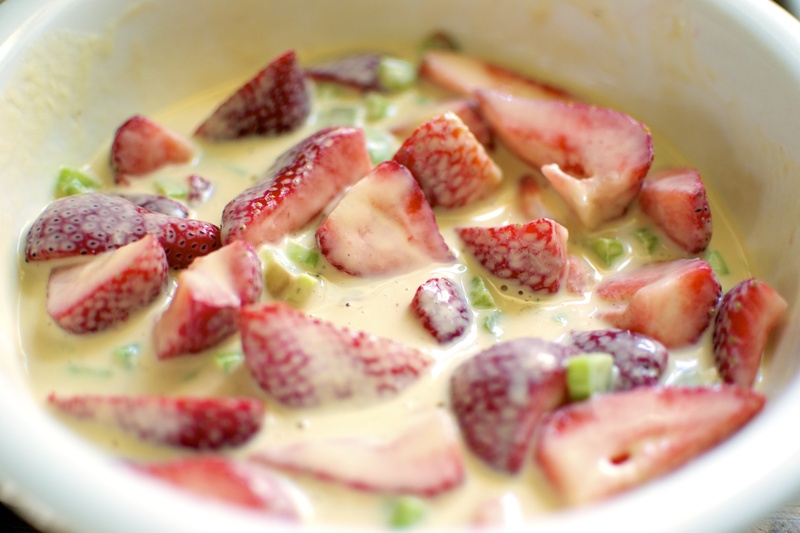 Add rhubarb and halved strawberries to yogurt mixture. Set aside. 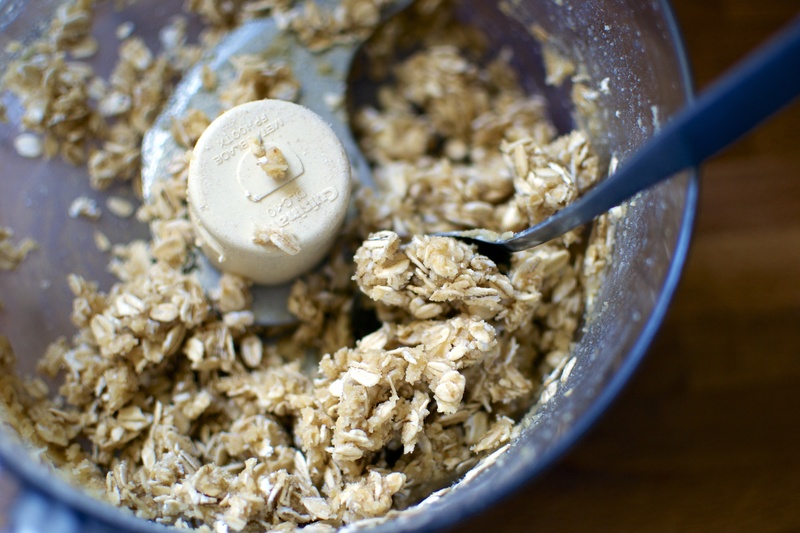 In the bowl of the food processor, use reserved 1/4 cup crust dough and combine with 1/2 cup gluten free oats. Pulse the food processor a few times until the oats and the dough are combined to form a crumble topping. 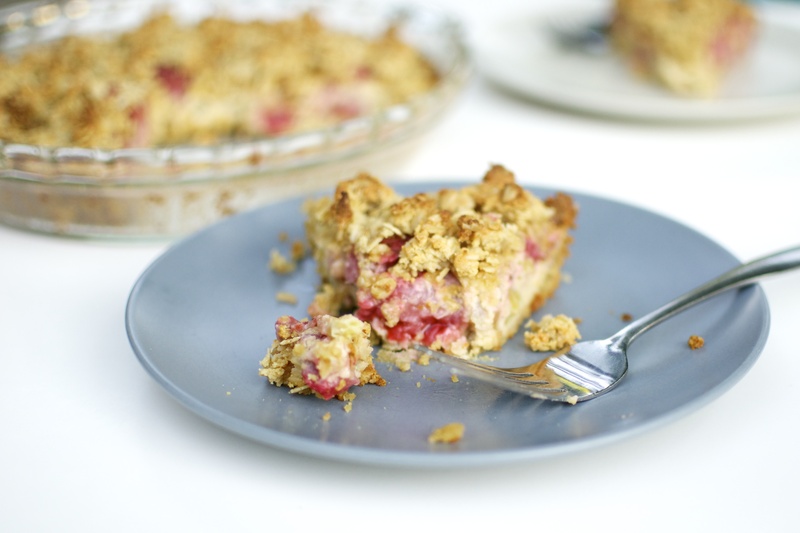 When the crust is finished pre baking, pour the yogurt topped strawberries and rhubarb into the pie crust. Evenly disperse the yogurt mixture and fruit into the pan. 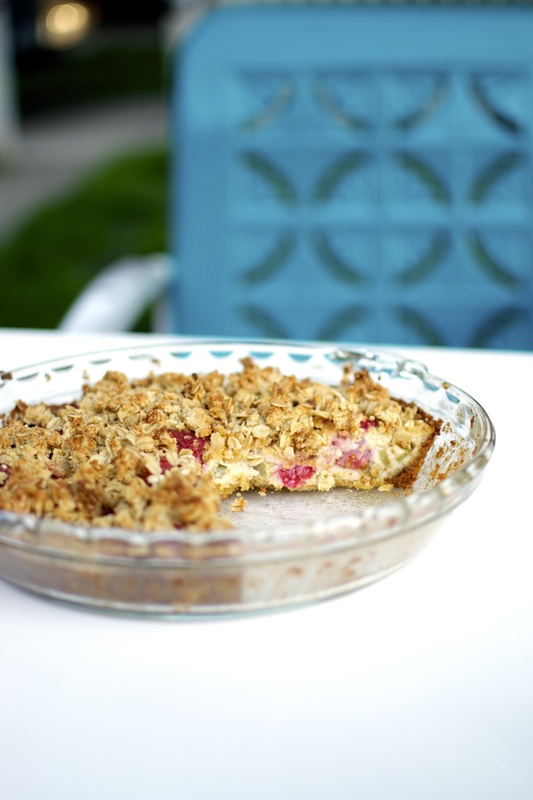 Sprinkle oat crumble over the top of the pie evenly. Place the pie back into the oven for 40 to 45 minutes. Oat crumble will be golden brown and center of pie will be firm. Remove from oven and allow to cool for 15 minutes. Serve either warmed or cooled. Refrigerate leftovers. 1. Recipe adapted and inspired from Joy The Baker’s Cherry Pie Bars. 2. Recipe can be made grain free by replacing the gluten free oats with walnuts or pecans. The greek yogurt can be replaced with 1/2 cup of full fat coconut milk. 3. Cooking times may vary based on altitude and types of ovens. I can definitely get behind a pie for all meals! 🙂 Yum! !